Sleep plays a very important role in achieving good health and well-being throughout our life. Studies show that getting enough quality sleep at the right time and with a right a sleeping aid can help protect our mental health, our physical health and over-all quality of our life. But with the changing landscape of work hours and lifestyle, sleep has become an expensive commodity that it’s now hard to achieve that quality slumber without sacrificing our normal routine. “Sleep is an essential part of our well-being. It allows our bodies to recover from daily activities and more importantly, it leaves our minds refreshed to gather and process information. It also affects our emotional stability and decision making.” Says Cherry Tan, the Marketing Director of Uratex Philippines. A recent study showed that the Philippines have been ranked as one of the countries in Southeast Asia with poor sleeping habits. More than half of the Filipinos are sleeping less than six hours a day. This is attributed to factors like; unbearable traffic, constant access to the internet, busy work schedules and uncomfortable sleeping environments. There are a number of ways how to achieve superior sleep but at the end of it all, it’ll boil down to finding the most comfortable bed there is. For 48 years, Uratex is one brand that has been on a mission to promote better sleep. Uratex has been recognized as the country’s leader in making quality foams and mattresses. They’ve employed latest technologies and Science-based designs that support our body’s shape and contour to aid in achieving better sleep. 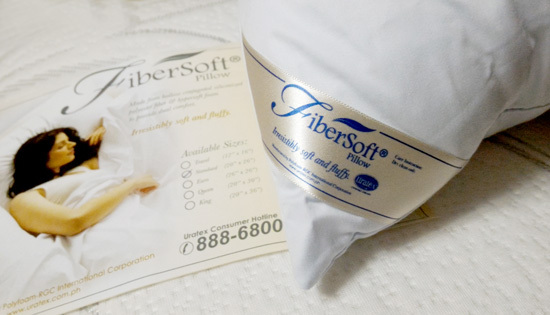 Thanks a bunch Uratex for my comfy Fibersoft and Airlite Pillows. Both are heaven on Earth, love it! Uratex offers different technologies that cater to a person’s sleeping needs. As summer is fast approaching, there is a need to maintain an ideal sheep temperature that can reduce tossing and turning during the night. Uratex ‘s latest collection include the Uratex Airlite Foam Mattress which combines 3D spacer fabric and open cell technology to allow air to flow freely in the mattress , for a cool sleep . For a more luxurious comfort feel, Uratex Premium Mattress presents the Senso Memory Ultima Mattress. Formulated with Hydragel technology, its premium memory foam is infused with gel beads which absorbs heat and provide optimal airflow. It has been proven to lower body temperature by up 2 Celsius than those of traditional memory foam, helping you to fall asleep faster. As an added feature, Sanitized treatment is applied to safeguard against growth of bacteria, odour, mildew, and dust mites. Aside from its product offerings, Uratex partners with different organizations in its interest to achieving better sleep. 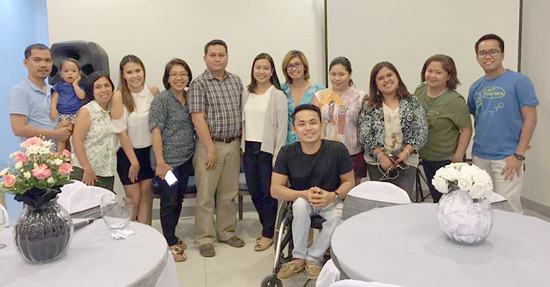 The Philippine Society of Sleep Medicine (PSSM) along with Uratex has embarked on a campaign ‘Good Sleep is a Reachable Dream’. The said symposium has discussed about the important elements of sleep. 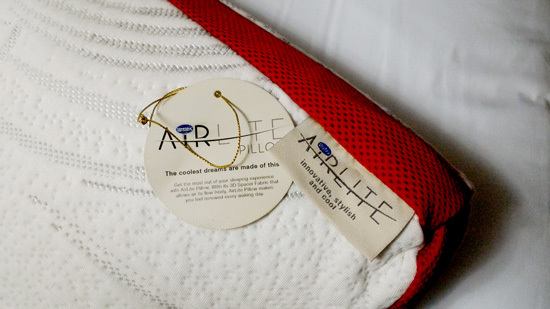 Recently, Uratex invited a mix group of trad media and bloggers to also share to us the importance of good sleep. 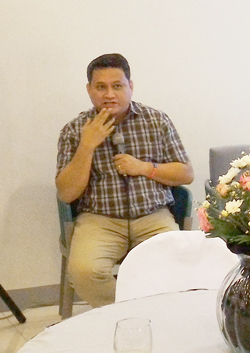 We had a chance to listen and ask questions to Dr. Duane Salud, a sleep doctor based in Davao City. The talk was very enlightening and informative. Ms. Marvey E. Alcantara, Uratex Consumer Marketing Manager. Thank you for having us, Uratex. And my learnings from the talk tells me it’s time I’ll log off and go get a better sleep so I can have better mornings.